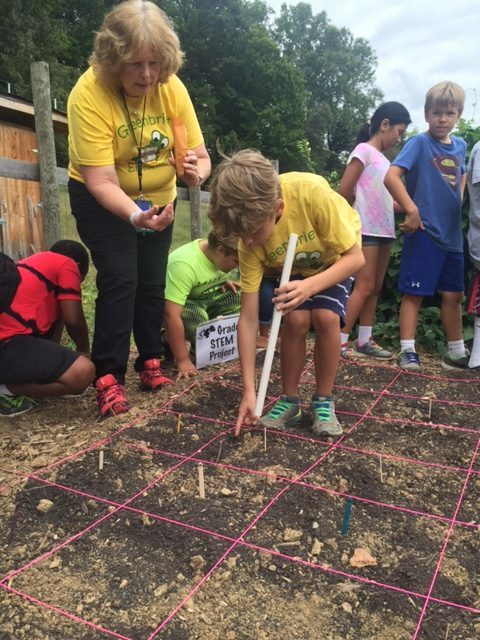 It's easy to see how engaging youth in the garden helps cultivate healthy living skills. Youth are more likely to eat what they grow! But, did you know that students are also getting a boost in lessons that are key to their academic learning? As we reflect on the bountiful harvests we produced in our schoolyard gardens in 2016, we're taking a look back at some of the amazing projects and programs our students have been a part of in the past months. Check it out! In the Fall of 2016, the third graders were hard at work completing their iSTEM experiments. Each student designed a covering to protect their lettuce plant and to keep it safe and thriving during the winter months. 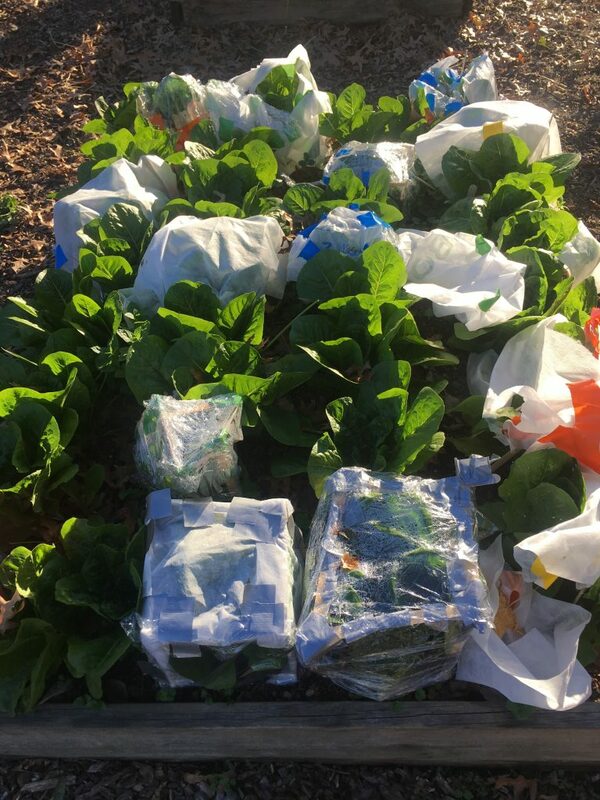 Check out some of the creative lettuce coverings the students created here and hat's off to Charlottesville City Schools for their innovative iSTEM team. Another critical component of our efforts over the past year has been our Educational Roots Framework (RootEd™). RootEd™ is a system that expresses the benefits of hands-on learning in the garden, and demonstrates how students can build upon their learning after each consecutive garden visit. For the past two years, we have used our RootEd™ to inform our activities, lessons, field trips, and so much more. This year, we are rebooting the RootEd™ framework to reflect new ideas and modifications for garden learning targets. RootEd™ helps us engage with our students in meaningful ways every time we step into the garden. Check out the CSG RootEd™ frame and the tools used to inform our work at our blog post! 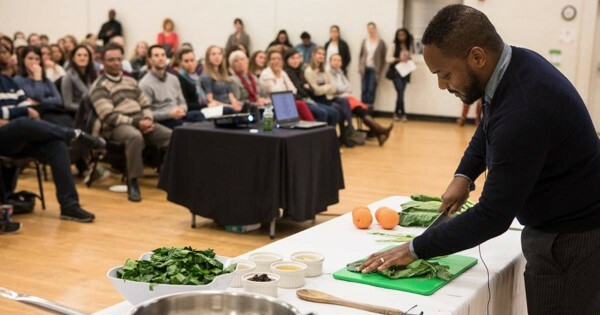 On January 18th, the Charlottesville Food Justice Network teamed up with the University of Virginia Office for Sustainability to host an amazing food justice event featuring Bryant Terry, a James Beard Foundation Leadership Award-winning chef, educator, and author, and activist. We kicked off with a round table discussion held at Newcomb Dining Hall at UVA. Students, faculty, staff, and community members gathered together to discuss food justice, race, privilege, and more. 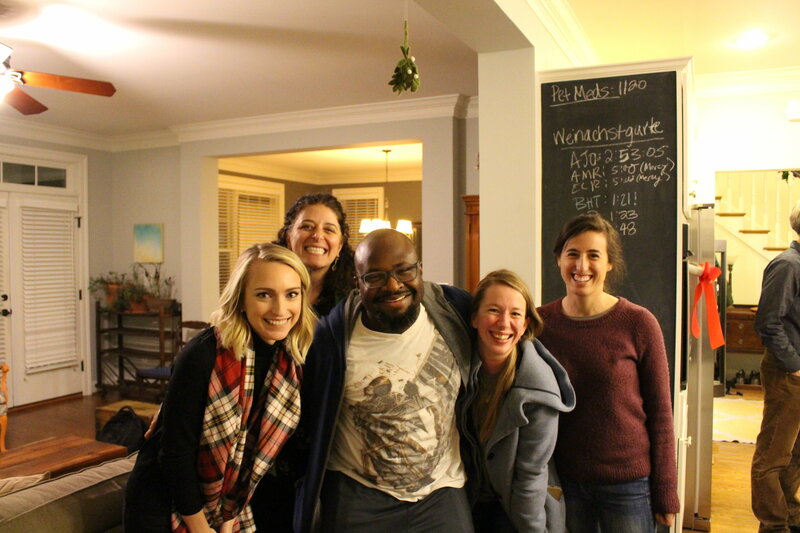 Members of the CJFN were able to talk about food justice in Charlottesville and walk away with new understandings of how we can strengthen our partnerships to address these crucial issues in the future. 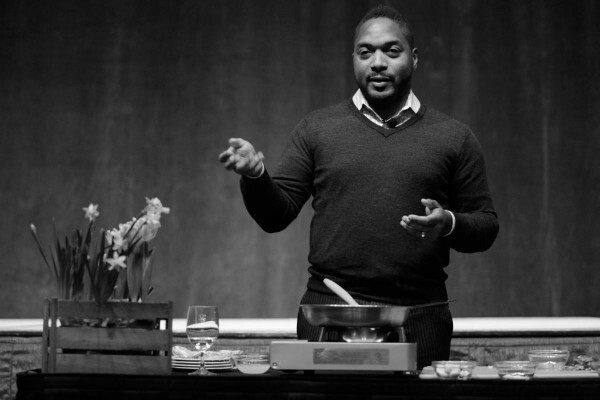 After the roundtable discussion, Bryant Terry delivered a keynote speech and panel discussion at the Jefferson School, which centered on celebrating African American music, southern culture and history, sustainable eating, and good food, and ending with a food demonstration by making collard greens. They smelled delicious! The panel discussion was led by Bryant Terry, three CFJN members, Barbara Yager from City of Promise, Brooke Ray from IRC New Roots, Laura Brown from Local Food Hub, and our very own Shantell Bingham. Aleen Carey, CSG Board Chair was our host. 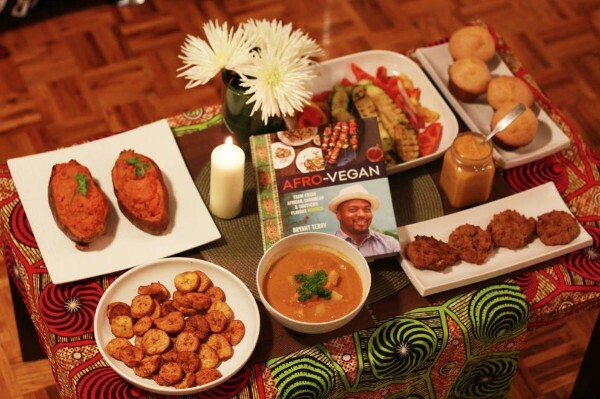 This event proved to be an incredible way to honor Martin Luther King Jr., and to explore food justice in Charlottesville. Read more about our day with Bryant Terry in our post by Shantell Bingham. It's worth the read. Thank you, Bryant! Join us for tips about planting, pruning, harvesting and cooking in your garden. 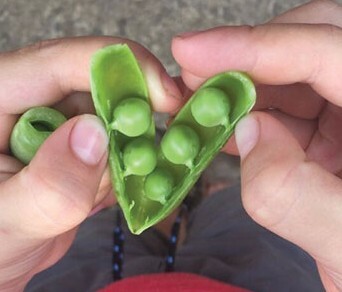 Our first grade students are gearing up to compete in March for the annual First Peas to the Table contest! 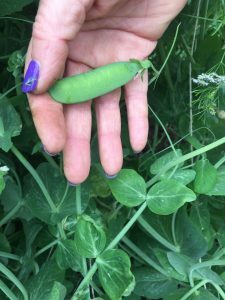 As you prepare to plant peas in your garden this spring, let's take a look at some of the methods our students have used in past years to prepare their peas. 1. Placing fish in the ground underneath the seeds provides added fertilizer to the ground. 2. Sprinkling a powdery black substance called inoculant on top of the pea seeds adds bacteria to help form nitrogen-fixing nodules on the roots of the pea plant. 3. Soaking the seeds prior to planting helps to soften the seeds so they can sprout quicker. Check out our blog for more details. CSG sends out a hearty thank you to each and every one of the individuals, businesses and foundations that support the work we do to engage youth in nature, enhance academic learning and cultivate the skills for healthy living. We can only thrive with your partnerships! A hearty thank you to all those who generously donated to our 2016 Winter Appeal. We surpassed our goal and raised over $16,000 to support making youth garden connections. A very special shout out to Aleen Carey, Bill Lanzana, Juan Wade, and Gail Heard for sharing your touching testimonies about how City Schoolyard Garden impacts students and the community. 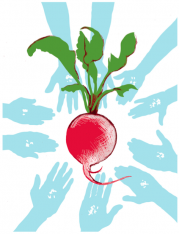 Join our many supporters and donate to City Schoolyard Garden today. If you're a non-profit in the Charlottesville area, you are lucky enough to benefit from the resources at the Center for Nonprofit Excellence (CNE). The CNE provides consulting, training, tools and resources for non-profits in the Charlottesville community with one goal in mind; "to build, nurture and promote strong community." In 2017, the CNE will help CSG grow through the help of their CoLab Program. CoLab provides training, consulting, and resources to support local non-profits and their partners in building strong partnerships and collaborations. 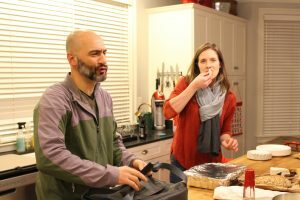 The CNE offered the Charlottesville Food Justice Network pro-bono support through their CoLab program, which has included one-on-one support and collaboration trainings. Mary Davis Hamlin, Senior Consultant at the Center, spearheading our efforts to improve our partnership within our network. Shantell, Kim, Brooke, Lisa, Todd, Kristen, Lisa, and other Network partners had the opportunity to attend two CoLab trainings. At these events, they learned more about how to begin the collaborative process, and the importance of effective collaboration. Kim said that Mary Davis Hamlin reminded her that "it's the 'why' that brings us together and drives the 'what we do', 'how we do it' , and 'how it feels' (psychological). And that makes me appreciate the time we spend as a group talking about what we value in common." Read more about the CNE, the CoLab program, and reflections on lessons learned at the CoLab blog post! City Schoolyard Garden launched in the spring of 2010 when Linda Winecoff pulled together a dynamic team of community members – passionate about starting a schoolyard garden in Charlottesville City Schools. Many people played a role in those early years and many gave hours and hours of heart and hands, ideas and dreams, collaboration and strategy to grow. A handful of those volunteers, stayed on to guide our organizational growth and became our first Board of Directors. With the turn of 2017 new year, almost seven years after we launched, the final three foundational Board members passed the torch to a new and equally dynamo team, ready to lead and serve. 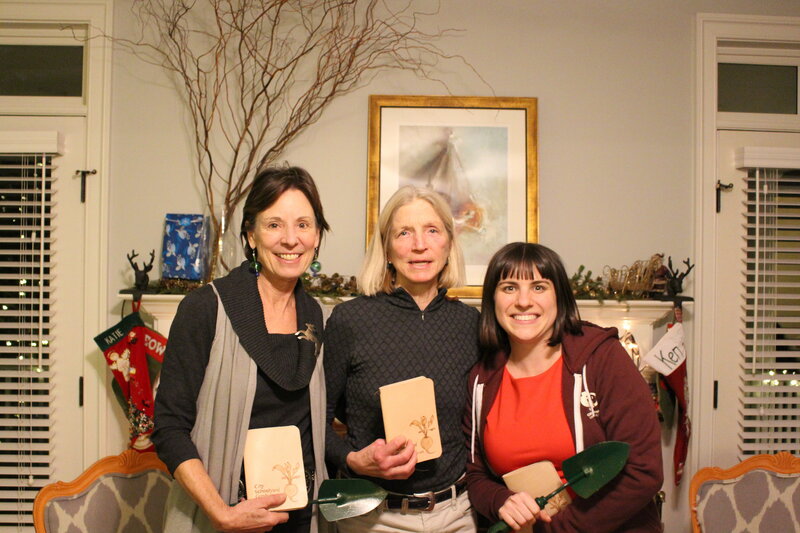 Lisa Drake, Cate Whittington, Katie Shelvin – we are forever grateful for the many gifts you’ve given City Schoolyard Garden and the youth who discover and learn in the gardens. Check out this blog for some of what we love most about these leaders. 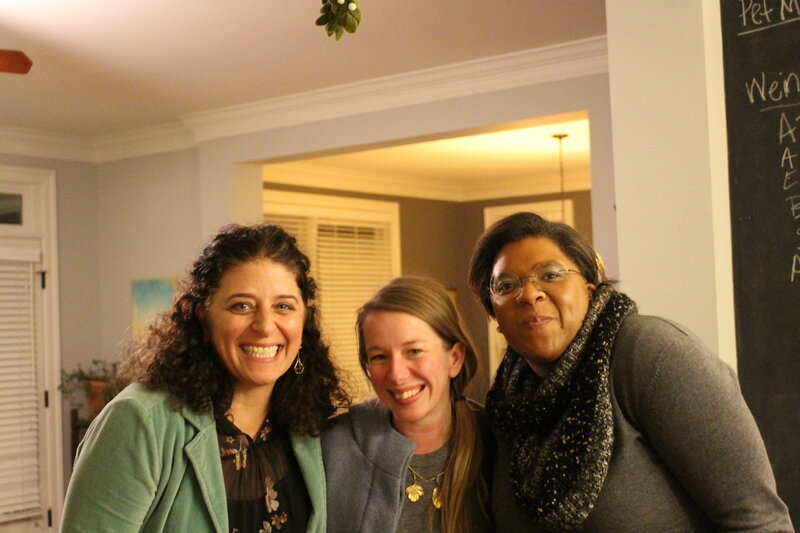 But these little summaries don’t portray the heart of these Board members – who are each dedicated to connecting Charlottesville youth to gardening – in their own passionate way. Thank you each. Thank you for your discipline and creativity and most of all – thank you for daring to build gardens and community and City Schoolyard Garden. You are truly CSG Rock Stars! 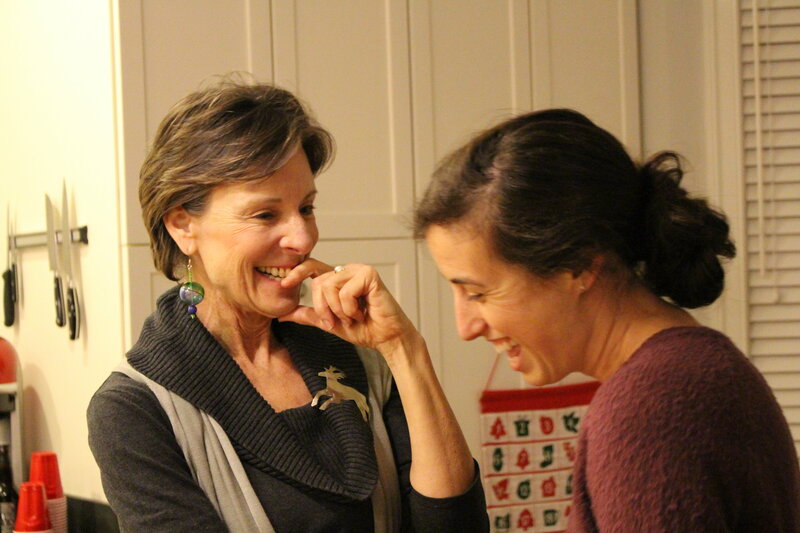 Snapshots from our end of the year – sending you off with love – party. Come out to the Charlottesville 10-Miler Race on 3/18/17 and volunteer for City Schoolyard Garden (times vary). If you are interested in supporting CSG by volunteering at a fun, traditional race, we would love to have your help. Sign up here and note that you are representing City Schoolyard Garden. All workdays are Saturday, 9am-12pm. Greenbrier Elementary: Feb 25; Venable Elementary: Mar 11; Burnley-Moran Elementary: Mar 25; Jackson-Via Elementary: Mar 25; Johnson Elementary: Apr 1, Clark Ev: Apr 15. CSG is looking for volunteers to help prepare for the March 2017 Harvest of the Month snack on Monday, February 27, 2017 – 2:00PM to 4:00PM at the Central Kitchen (located at Charlottesville High School). You could also come help deliver the March 2017 Harvest of the Month snack to students on Thursday, March 2, 2017 - 9:15AM to 10:45AM. **If you're interested in signing up to volunteer, please contact volunteer@cityschoolyardgarden.org. Help CSG Spark Garden Connections for Youth! City Schoolyard Garden is so thankful for the generous support provided by the Charlottesville community. If you are passionate about engaging youth in nature -donate today! For fun updates, photos and stories, be sure to like us on Facebook! Just in case you shop Amazon - your purchases can count as a donation to City Schoolyard Garden through AmazonSmile. 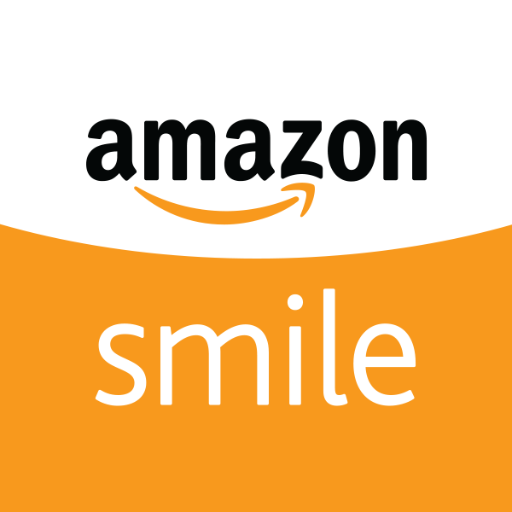 It’s easy to select CSG as your "smile organization" by going to this CSG AmazonSmile Link and signing up. Then, 0.5% of your eligible purchase price will be donated to CSG. Thanks for checking it out and supporting youth engagement in nature.